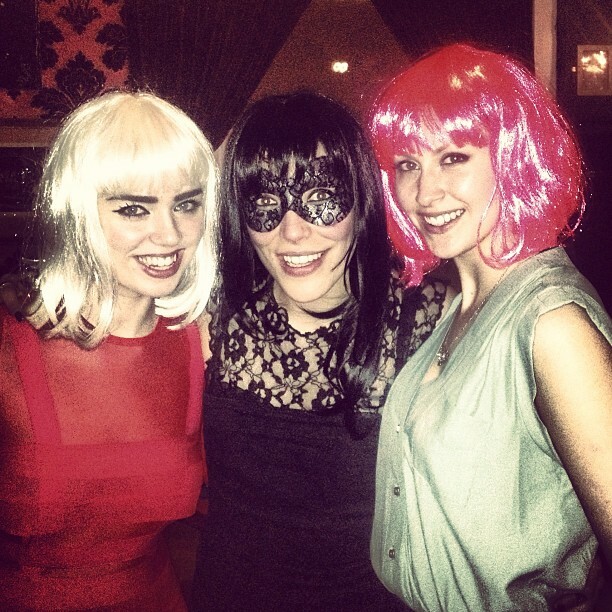 Last night I went to my best friend Saskia's birthday party (the theme was disguise, so wigs were the fancy dress accoutrement of choice) in my new tomato red mesh dress from Markus Lupfer, which was part of my haul in THE OUTNET's recent 85% off sale. I wear my striped Markus Lupfer dress for work and at weekends a lot, so I was pleased to pick up another piece from the playful LFW designer for parties. Have you picked up anything in THE OUTNET clearance? © Emma Louise Layla | All rights reserved.